Why you need Low Skew Cat 5e Cable ? To remedy this skew distortion, ATEN has developed the Low skew Cat 5e cable 2L-2801. This 305 m/ 1000 ft, high performance Cat 5e cable is suitable for the audio and video transmission of a wide range of video and KVM Extenders. Analog video presents a high quality image when the computer is directly connected to the monitor by short cables. However, in today’s data centers, labs, stores, as well as in digital signage installalations, video cables may be long, bulky, and expensive. To overcome these practical video cable length limits, KVM switches—in addition to both KVM extenders and VGA-only extenders—are used that send video through Cat 5e cables. "Skew" is the color phase and time errors that occur when R/G/B video signals are sent long distance over Cat 5e cables, and this can result in smeared, unsharp, color-fringed images that become visibly worse the longer the cables. 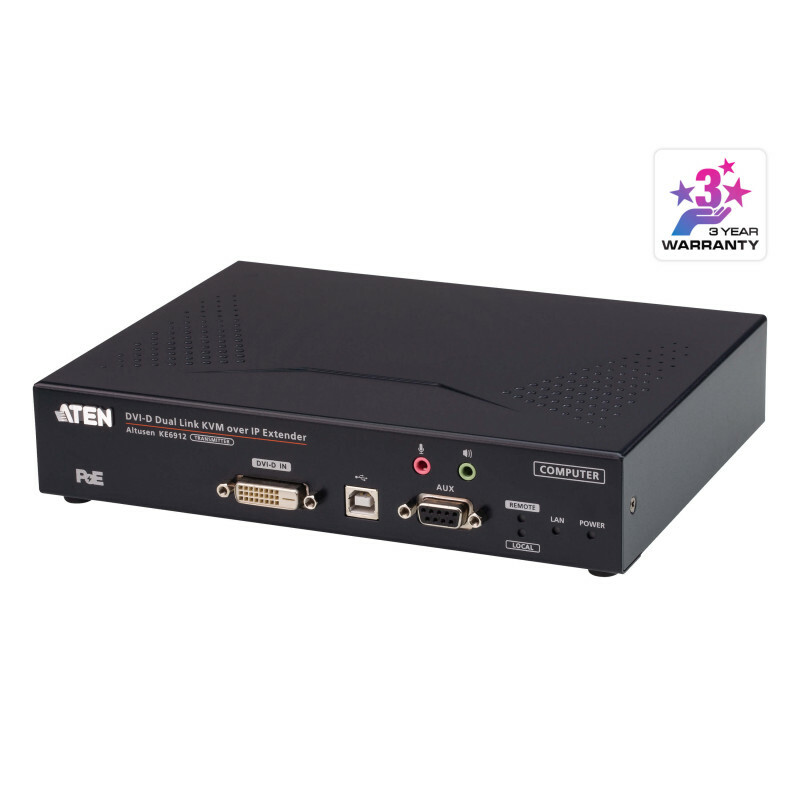 To remedy this skew distortion, ATEN has developed the Low skew Cat 5e cable 2L-2801. This 305 m/ 1000 ft, high performance Cat 5e cable is suitable for the audio and video transmission of a wide range of video and KVM Extenders. This low skew cable is specifi cally designed for RGB video applications such as digital signage, and supports video transmissions to longer distances than traditional twisted pair Cat 5e cable does. To eliminate blur and bleeding images and to ensure the clarity of your video transmissions in all video-related applications, use 2L-2801 Low Skew Cat 5e Cable.